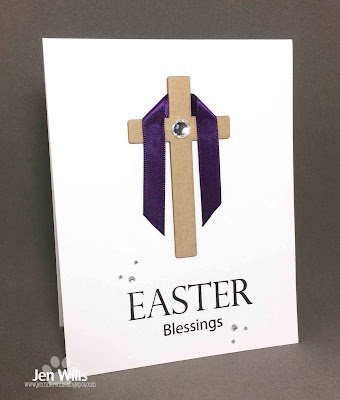 I had a request for Easter cards a couple of years ago but haven't really used these stamps and dies since then so this challenge gave me a perfect excuse to dust them off and put them to use. 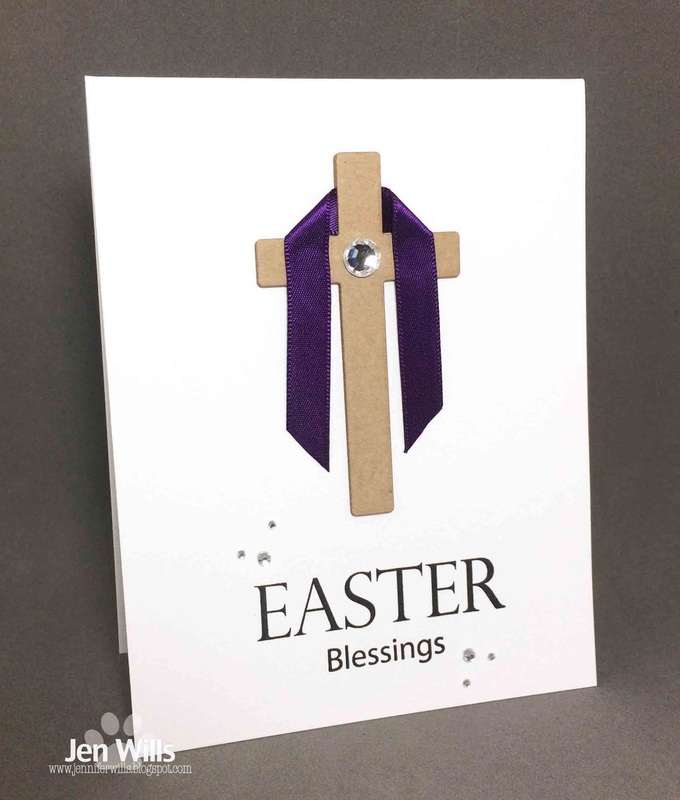 The inspiration for this card came from a church that I pass on the way to work every day. Across the street they have three crosses set up on the cliff edge overlooking the water. At certain times of year they're draped with fabric which looks gorgeous when it's blowing in the breeze with the turquoise water backdrop. When I saw this cue word the phrase, "Curses! Foiled again!" kept running through my head. I knew it was from some cartoon character but I had to look it up - it's Snidely Whiplash from Dudley Do-Right. 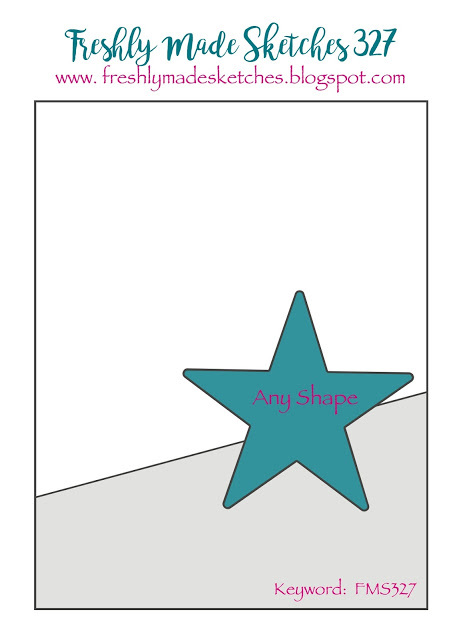 Anyway I pondered that for a bit and considered making an encouragement card - you know, keep on trying even if you're plans are foiled or some such thing. 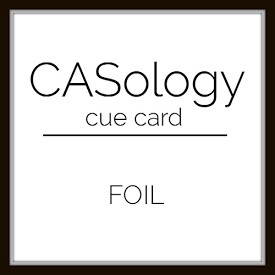 I also considered the fencing type of foil but really had nothing to work with there. 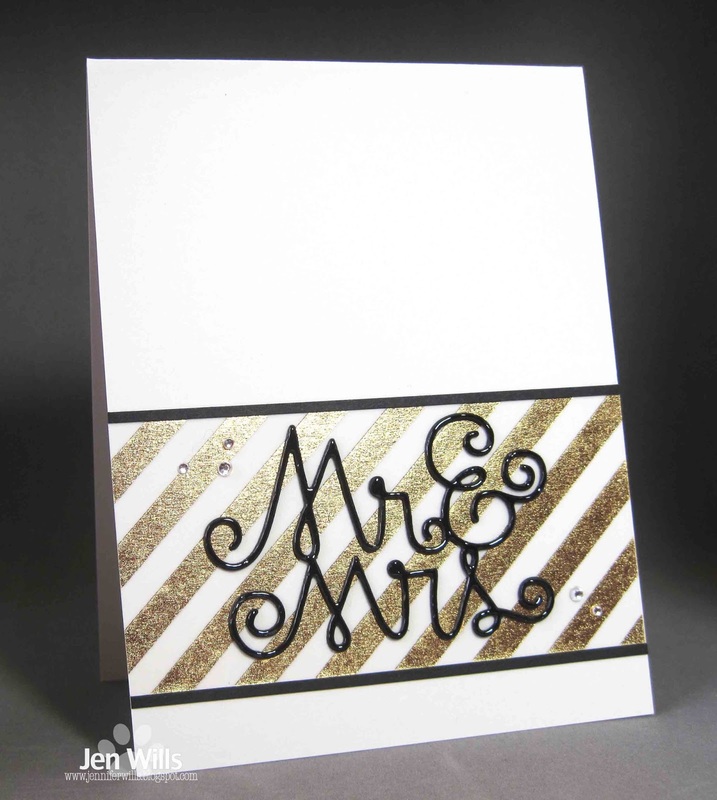 In the end I stumbled across these foiled vellum papers and voila - a CAS and classy wedding card was born. 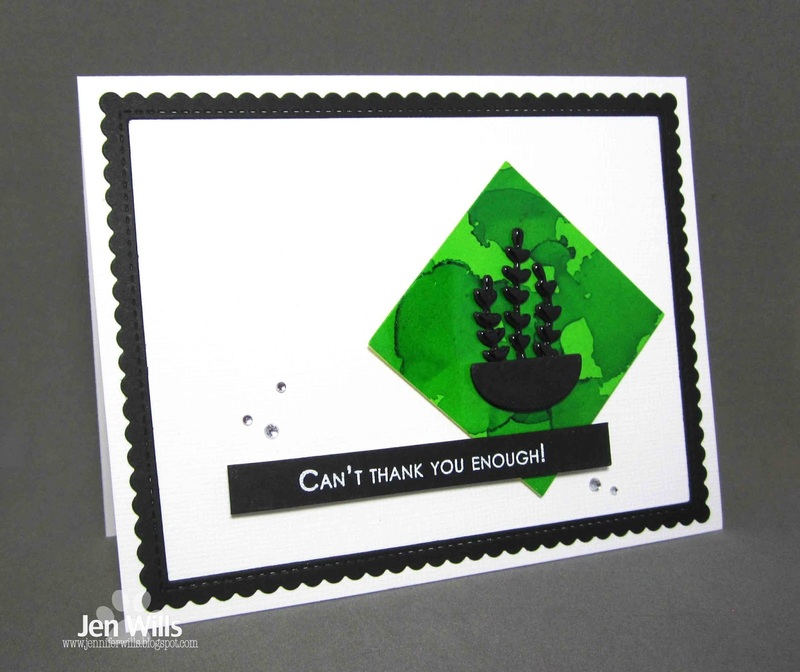 Popping in quickly with a card for the CAS on Sunday Cerebration with Sequins challenge. I used CAS-ual Fridays stamps with Distress Inks to create a partial rainbow and then added lots of sequins for some sparkle. 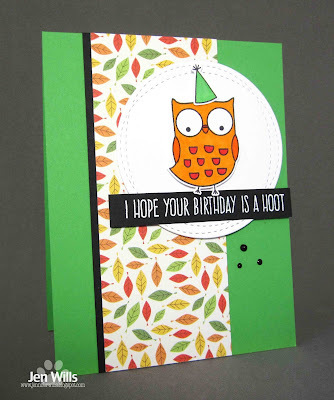 Super simple but these fun sentiments are really almost all you need for a fun and colorful card! Today I've got a card for the current CAS(E) This Sketch challenge. This Winnie & Walter flower and leaves have been sitting on my desk for a while and I realized they'd be perfect for this week's sketch. I paired them with some turquoise washi tape and a Lil' Inker sympathy die. I've got two cards today. 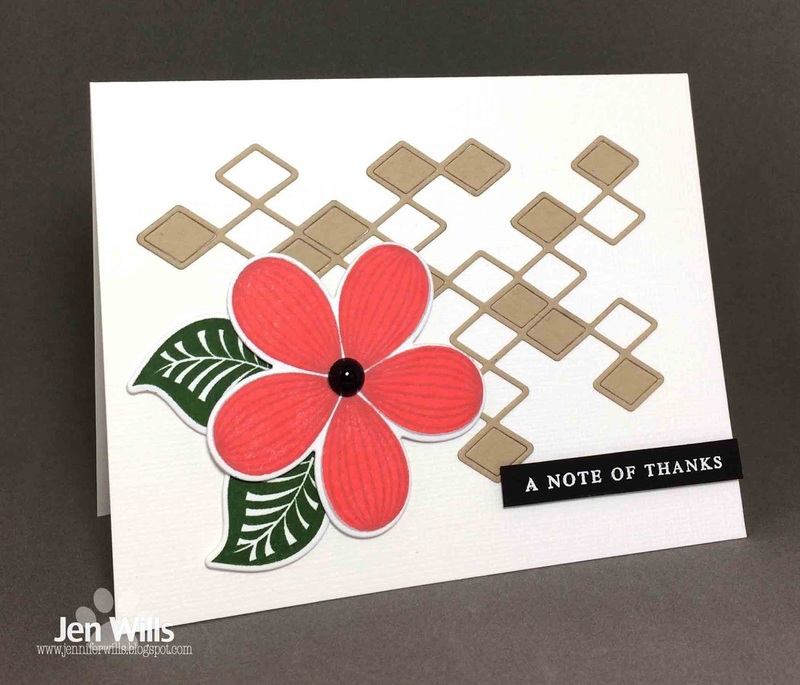 First a card for two challenges - Freshly Made Sketches and The Card Concept (where I'd categorize my card as Clean and Simple). I used some alcohol inks to create the square background. I'm still not all that confident with it but every once in a while I get something passable out of it. 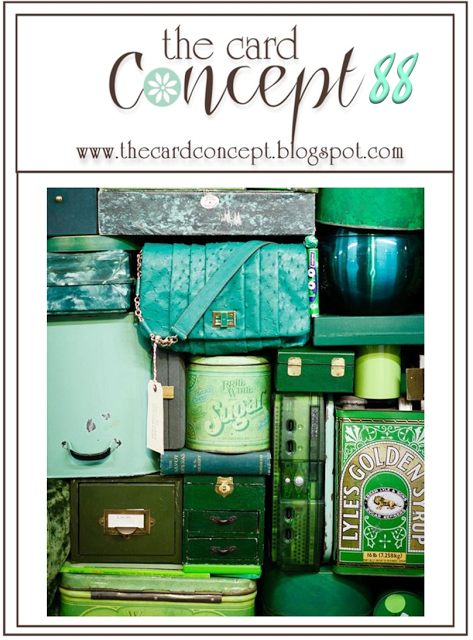 :) The plant is a Flora & Fauna die stacked up in 3 layers and then covered with Glossy Accents. 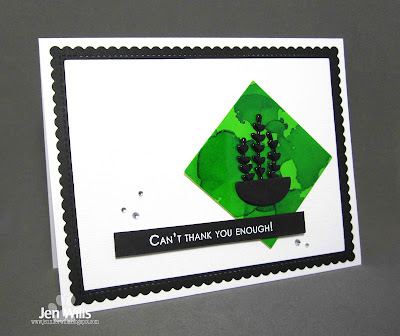 Now put your sunglasses on because this next card is a bright one for the MFT Sketch Challenge! Not sure what got into me especially since I always struggle with making animals unusual colours. However I decided to just go with the flow today and have some fun. Also I got to pat myself on the back for using not just patterned paper but coloured cardstock as well. Yay me! 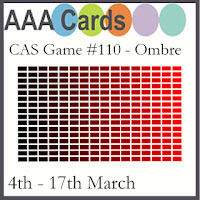 I've got a card today for the AAA Cards Ombre challenge. 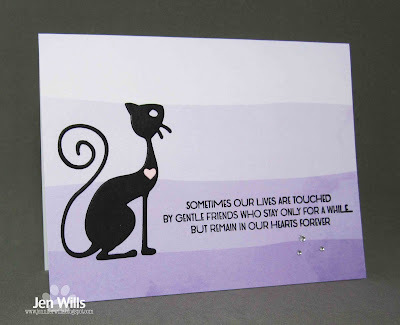 I really like this ombre paper from Lil' Inker Designs and their pet sympathy sentiments are lovely. I paired them with a Frantic Stamper cat die and a little heart from Simon Says Stamp. 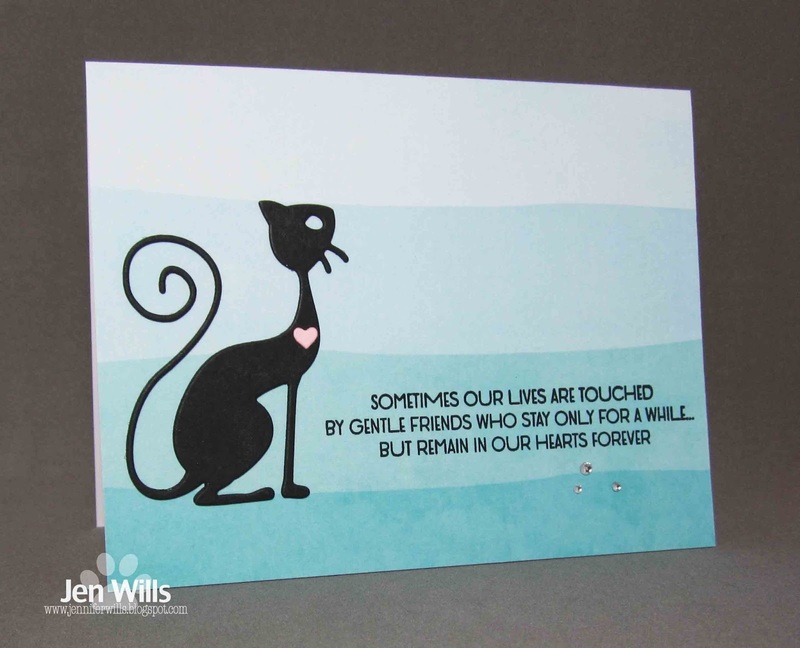 Unfortunately since I sell my cards out of one of the local veterinary hospitals I have to stock up on these pretty regularly so I made a second one with a different colour background. Tomorrow I'll have to make a few dog cards as well. I've only missed the last two weeks of CASology challenges but it feels like forever since I played along. 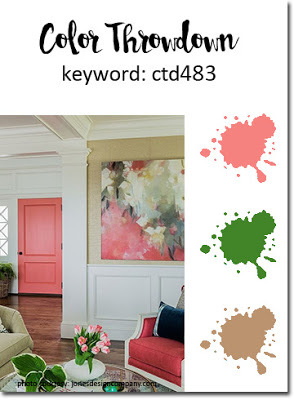 I'm glad to be back with what I think will be a popular cue word. Every stamper at least has a butterfly stamp right? 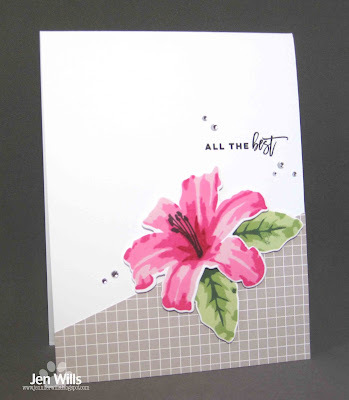 It's like Stamping Law that at the very least you must have a flower stamp and a butterfly stamp in your collection. 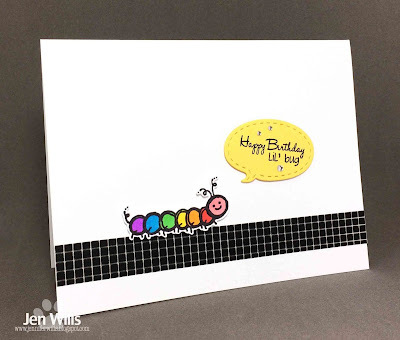 This little caterpillar is from an ancient (probably long retired) Sweet Stamp Shop set. I wonder if there really are any rainbow coloured caterpillars in the world? Note to self - Google that! Yaaaassssss! Back for a second day in a row! 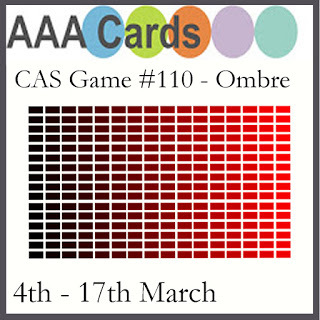 Today's card is for The Colour Throwdown. 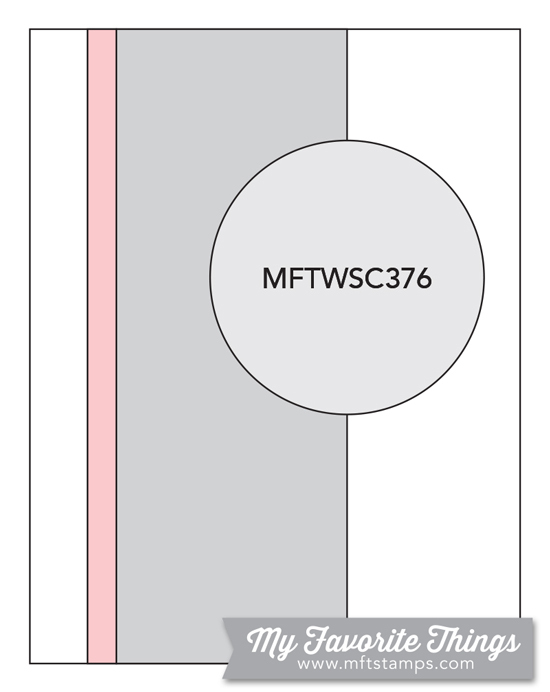 I snatched up this MFT flower as it was about to be retired but this is the first time I've inked it up. 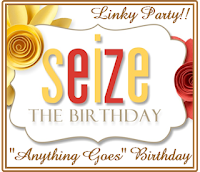 There are no sentiments in the set so I used one from Altenew. The Stacked Diamond background is from Simon Says Stamp. I have their Stacked Hearts background too and I really like them. They can be used for so many occasions. 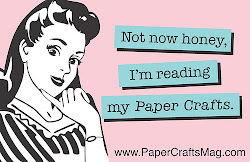 It's been ages since I've done any crafting - the last few weeks have been pretty intense. 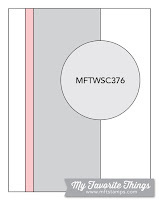 I finally managed to get some time to create this weekend but it was VERY slow going. It always takes a while to get back in the groove after a break but I'm glad to be back. I've got two cards to share today. 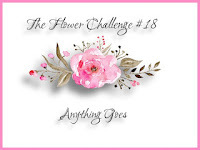 First up is for Freshly Made Sketches and The Flower Challenge (Anything Goes). 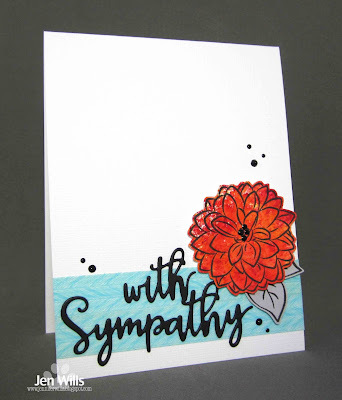 I inked up this yummy Altenew lily with Altenew inks and paired it with a Winnie & Walter sentiment and some MFT paper. It's ridiculous how long this took me to make but, like I said, it takes time to get going again. 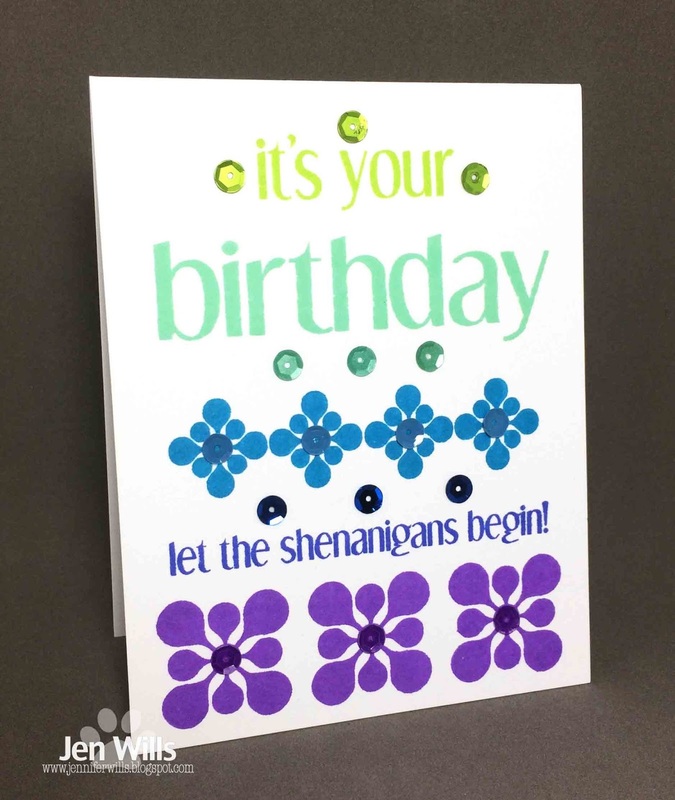 Next is a card for CAS Colours & Sketches and Seize the Birthday (Anything Goes). 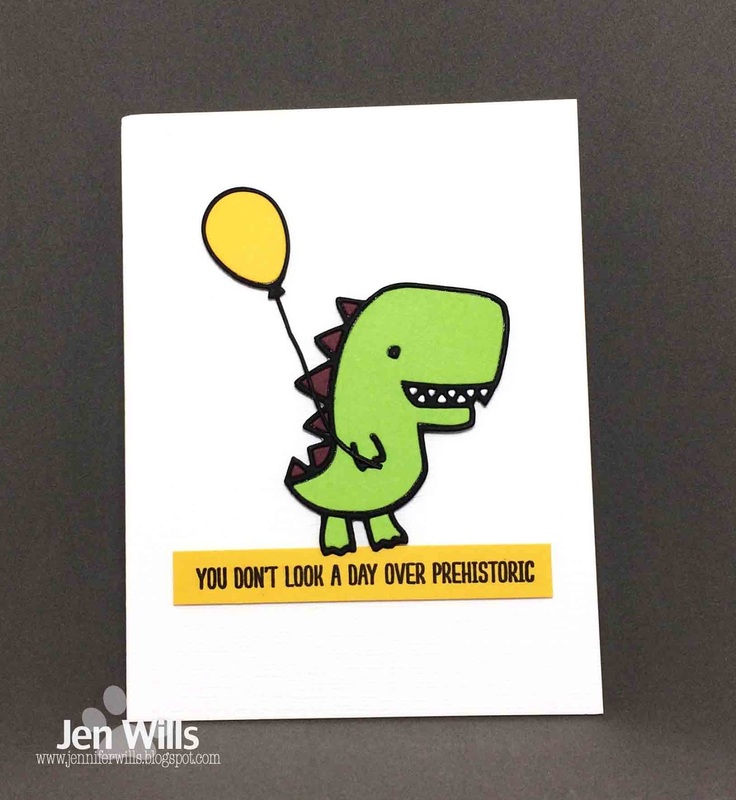 This is the first time I've used this Paper Smooches dinosaur die. How cute is he? 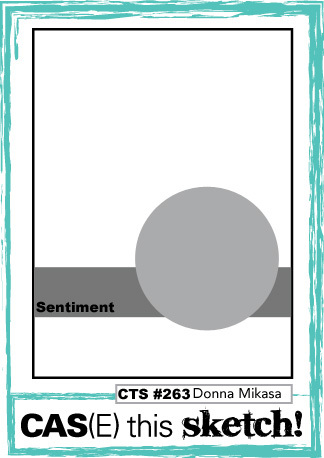 I paired him with an MFT sentiment but I thought he needed something to make him look a bit more celebratory so I dug out the Simon Says Stamp balloon for him to take along to the party.